Click the links below to view video of recent events sponsored or co-sponsed by the Colorado Pro Chapter of the Society of Professional Journalists. SPJ Colorado Pro events are recorded and archived by Denver 8 TV through Denver Media Services. This archive is not comprehensive. Heath, winner of 2015 Al Nakkula Award for Police Reporting, talks about “Fugitives Next Door.” Hosted by John Ensslin. Hochman, a former sports columnist for The Denver Post, talks Mile High sports teams. Former Rocky Mountain News leaders Denny Dressman, Dusty Saunders, Laura Frank, Mike Madigan and Mark Wolf talk about the demise of the Rocky Mountain News and its impact on the region. Landess, longtime 7News anchor, talks about his decades-long career. Hosted by Doug Bell. Bolton, a reporter for 9News/KUSA in Denver, talks about her experiences covering the 2014 Olympic Games in Sochi. Hosted by Dennis Huspeni. A freelancer writer and National Geographic contributor, Moye talks about how to target magazines with stories. Hosted by Dennis Huspeni. Dec. 20, 2013: Data on a Deadline – Mining the U.S. Census. Angeles Ortega talks about story mining of the U.S. Census. Hosted by Ed Otte. Nichols and McChesney talk about their book “Dollarocracy.” Moderated by Dennis Huspeni. Tim Rasmussen, Randy Bangert and Doug Bell talk about Colorado media’s coverage of the 2013 floods that devastated the state. Moderated by Ed Otte. David Cullier talks about accessing government data. Steve Zansberg, Pam Zubeck and Kevin Vaughan talk about open records and open meetings for Sunshine Week. Moderated by Doug Bell. The Denver Press Club has only 6 tickets remaining to the DPC-sponsored after-lecture reception with broadcasting’s Jane Pauley on June 6. The $100 ticket price includes her speech at the Buell Theater that will be part of the Unique Lives & Experiences series of lectures. The DPC has put together a special catered reception with Pauley after the lecture, and it’s limited to 30 people. It’s a chance to meet her, have a photo taken, chat or get a book signed in an uncrowded atmosphere. Wells Fargo Bank will supply wine, beer and desserts. The proceeds will benefit the club’s scholarship program. The tickets are all orchestra seating. For tickets, contact David Migoya,dmigoya@denverpost.com or call club manager Carmen Green at 303-571-5260. The Online News Association, in partnership with the Colorado Society of Professional Journalists, the Auraria Campus SPJ and Colorado Public News, is sponsoring a daylong intensive digital journalism training Thursday, June 23 at the Tivoli Student Union on the Auraria Campus in Denver. The ONACamp sessions are tailored specifically to the needs of independent, displaced and employed journalists, bloggers, entrepreneurs and students. Trainers include leaders in their fields, covering the latest in multimedia, blogging, generating revenue, mobile, legal and business issues, free web tools, marketing through social networks and finding a niche on the web. See a sample itinerary of the training that ONA recently conducted in Hawaii. Cost for the Colorado program is $5 to cover lunch. Registration is limited, so sign up today. The Colorado Bar Association and the Colorado Judicial Branch jointly offer “Law School for Journalists,” an ongoing series of classes designed to provide reporters with background information about issues in the legal system and judiciary. The sessions are free and typically run for 90 minutes at the Colorado Bar Association offices. WHEN: Monday, May 16, 8:30 to 10:00 a.m.
TOPIC: Juveniles in the Legal System – This program will provide an overview of the path of a juvenile in the legal system, including how it is determined whether a juvenile will be tried as an adult. SPEAKERS: Bonnie E. Saltzman is a sole practitioner based in Denver. Her practice focuses on juvenile law, family law, child custody, child support and child abuse and neglect. Saltzman served on the Colorado Juvenile Council from 1987-97 and has remained active in the organization from 2001 to the present. The Honorable D. Brett Woods was appointed a District Judge of the Denver Juvenile Court in September 2007. He hears a docket of juvenile delinquency and dependency or neglect matters. Prior to his appointment, Judge Woods was a county magistrate and municipal judge. Judge Woods graduated from the University Denver College of Law, where he was editor in chief of the law review. He clerked at the Tenth U.S. Circuit Court of appeals, and worked in private and public practice before joining the bench. Before law school, Judge Woods worked as a reporter. Details and course materials, once available, are posted at: http://www.cobar.org/index.cfm/ID/21788. RSVP to pr@cobar.org. You may attend in person or participate via webcast. There is no charge to attend. Want to be part of an SPJ PSA? The taping will occur on Saturday, April 30 at 1 p.m.
Or call him at 719-650-0877. Thank you to everyone who attended our reception for our annual Top of the Rockies Awards winners! It was a huge success with more than 100 attendees from across the state! A list of winners is in the Word document below. The judging is complete, and we are currently sending emails to those who won awards in our annual Top of the Rockies Contest! Award winners will be announced and honored on April 9 during the Saturday luncheon at the regional conference in Salt Lake City. In addition, SPJ Colorado will host an event the following weekend to honor winners from Colorado. The reception will be at 6 p.m. Friday, April 15 at the Denver Press Club, 1330 Glenarm Place in Denver. Awards reception begins at 7 p.m. The event is free to those who won awards. The cost for members is $5 and $10 for non-members. For the Colorado event, there will be a cash bar and light snacks. RSVP to Communications Chair Caroline Kipp at carolinekipp21@gmail.com if you are an award winner. RSVP online at http://www.blacktie-colorado.com/calendar/event-detail.cfm?id=21772 if you are a guest, not accepting an award. This year’s awards categories were expanded to include television, radio and online publications. We had a 16 percent increase in the number of entries over last year. Thank you to everyone who entered and to our judges for making this another successful awards year! 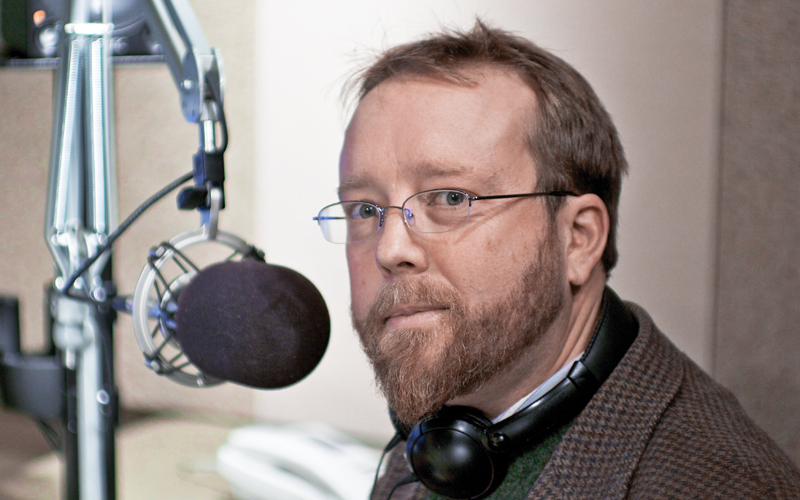 SPJ Colorado Pro will host another Fireside Chat Wednesday this time with Colorado Public Radio reporter Eric Whitney. The chat begins at 7 p.m. at the Denver Press Club, 1330 Glenarm Place in Denver. Eric was born in Ft. Collins and grew up in Colorado Springs. His family has been farming and ranching in eastern El Paso County for more than 100 years. Eric got his start in radio at KDUR, the student-community station at his alma mater, Ft. Lewis College in Durango. From there he moved to KOTO in Telluride. He then took a job at the regional High Plains News Service in Billings, Montana. A series of fellowships supported Eric’s work after that and allowed him to follow his interest in health topics. The Kaiser Family Foundation helped him report on mental health in the United States and infectious disease in southern and east Africa. The Knight Foundation allowed him to spend four months studying epidemiology at the Centers for Disease Control in Atlanta. The Crime, Communities and Culture Felloship from the Open Society Institute sent Eric to report on prisons in the western U.S. Eric spent most of 2003 living in and reporting from Cape Town, South Africa, as a freelancer before becoming the news director at KRCC in Colorado Springs, a position he held for three years before moving to Colorado Public Radio. SPJ Colorado Pro has chosen its winners for two scholarships the chapter awards each year. Recipients of the Helen Verba print scholarship are Lauren Knobbe of the University of Colorado – Boulder and Jeremy Hoover of Metropolitan State College of Denver. Each received $1,500 to put toward tuition, books and fees. The board also decided to award Ashely Ward, a student at CU-Boulder, a $750 Verba Award. The Award is named for Verba, a devoted member of Sigma Delta Chi (now known as the Society of Professional Journalists) throughout her life. She worked at The Denver Post from 1951 until her retirement in 1978. She joined The Post in its radio TV department, worked on the society desk and became club editor in 1971. Before joining The Post staff, Verba worked for a Denver advertising agency and wrote and produced radio shows for the information department at the University of Colorado. Paul Harris, also a student at CU-Boulder, was the recepient of the Sheldon Peterson broadcast scholarship. He received $1,500. The award is named for Peterson, who was an assistant general manager/public affairs director of KMGH-TV in Denver. Peterson moved to Denver in 1938 to become a reporter for The Denver Post. He left Denver briefly to work in Chicago, but returned in 1947 to become news director at KLZ. In 1970, he joined KMGH. Peterson was the Denver Press Club’s Communicator of the Year in 1986. He was a member of the Society of Professional Journalists and Sigma Delta Chi. Thanks to everyone who entered our regional Top of the Rockies journalism contest! We received about 16 percent more entries than we did last year. Judging is now open, and we hope to notify our winners in late March. Though the official awards ceremony will be held during the Regional Conference in Salt Lake City, we’re hosting a ceremony to recognize Colorado winners on Friday, April 15 at the Denver Press Club. Please save the date and join us to celebrate the best in local journalism. More details to come. SPJ Colorado Pro will continue it’s Fireside Chat series this Wednesday with Metropoliatian State College of Denver photojournalism professor, Kenn Bisio. He will speak at 7 p.m. at the Denver Press Club, 1330 Glenarm Place in Denver. More information about Bisio is online at www.kennbisiophotography.com. The Westword’s Patricia Calhoun will be the focus of our chat on Feb. 23.